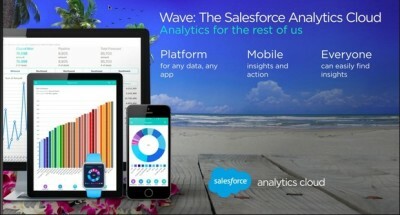 News of Salesforce.com’s Analytics Cloud — codename “Project Wave” — hit the blogosphere on Sunday evening. Billed as “Analytics for the rest of us,” the new platform promises to make business analytics attractive and highly visual with graphical tools available on mobile and larger PC screens. Marc Benioff and Tony Prophet, corporate VP of Windows Marketing at Microsoft, seemed more like old friends than bitter business competitors when they sat down to discuss their mutual love of philanthropy in the opening act of Dreamforce 2014. San Francisco’s population swelled by roughly 16% today as some 135,000 people entered the city to attend Dreamforce 2014. The Wall Street Journal looks at what’s ahead for Salesforce.com’s biggest event yet.